This legacy equestrian estate is unprecedented in its scale, amenity, facility, and offering. Engulfed in Silver Creek's natural enclave and adjacent to Goshawk and Glenwild, the place setting for this equestrian holding is world-class. 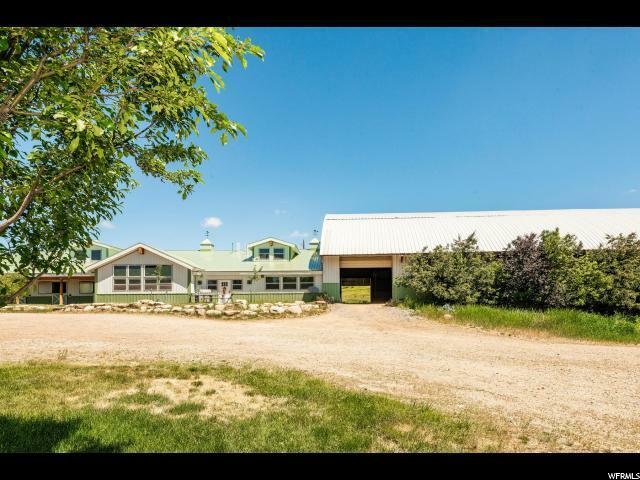 The 10+ acres aggrandizers its space housing an Indoor Riding Arena, custom home, 19 stall barn, 2 outdoor arenas, guest cabin, caretakers apartment and horse orientated outbuildings. The 18,000 SF indoor arena includes 20FT automatic overhead doors that allow for climate flexibility in the Summit County weather and radiant directional heaters comfortably accommodate winter riding and training. Included in the barn is a heated viewing lounge, kitchen, caretaker apartment , and office. 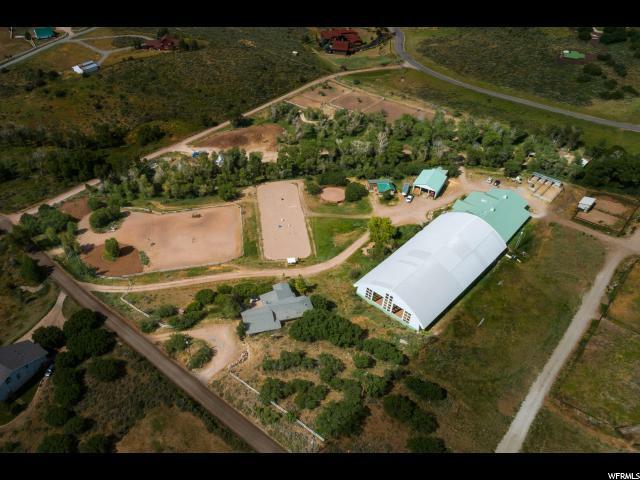 The property has a rare commercial conditional use permit, ,extra water shares and is licensed for 38 horses. The options and trajectories of the opportunity are boundless. Attached to the arena and barn is a heated tacking and grooming area accommodating 5 horses and 34 extra-large handcrafted tack lockers . 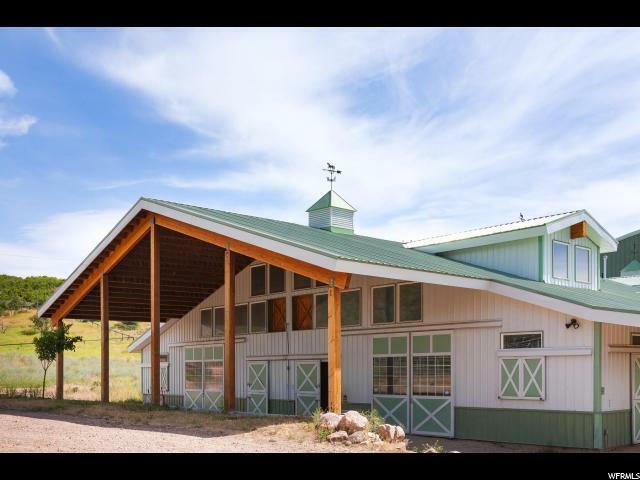 That, combined with a full "horse" laundry, heated grain room and separate farrier/vet work room, provides an exclusive, year round luxury, private, or commercial, horse riding, training, breeding and boarding facility. The luxury horse stalls provide horses with automatic waterers, rubber mats, and automatic fly system. 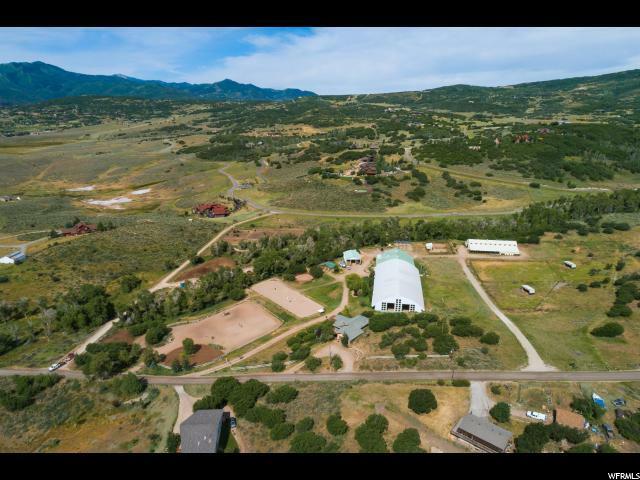 Pitched on top of the north side of the property sits the 4,400 SF, 4 bedroom custom home with views sprawling across all of the Park City ski resorts and valley. The home was designed to maximize the views with space opening vaults and ceiling heights. The two outdoor arenas are programmed on the site to allow for lessons, viewing, and direct access to mountain trails. The facility also provides fenced turnouts, a 2,000 SF bay shop large enough for RV's, horse trailers, and tractors. Also included is a private 2-bedroom 1,300 SF equestrian themed guest cabin nestled in the trees along the creek. All elements of this legacy estate are surrounded by aspen, a Koi pond, miles of trails, and staggering views.